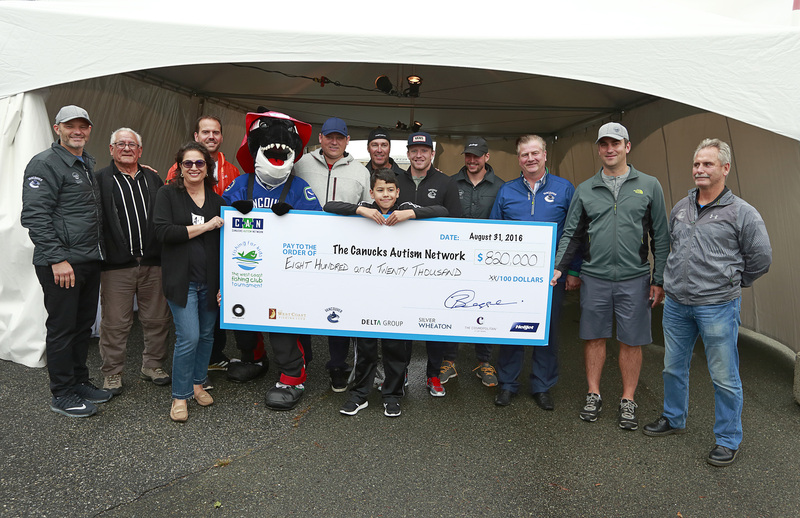 The West Coast Fishing Club is pleased to announce that the 11th annual Fishing for Kids Tournament raised an incredible $820,000 for the Canucks Autism Network (CAN). 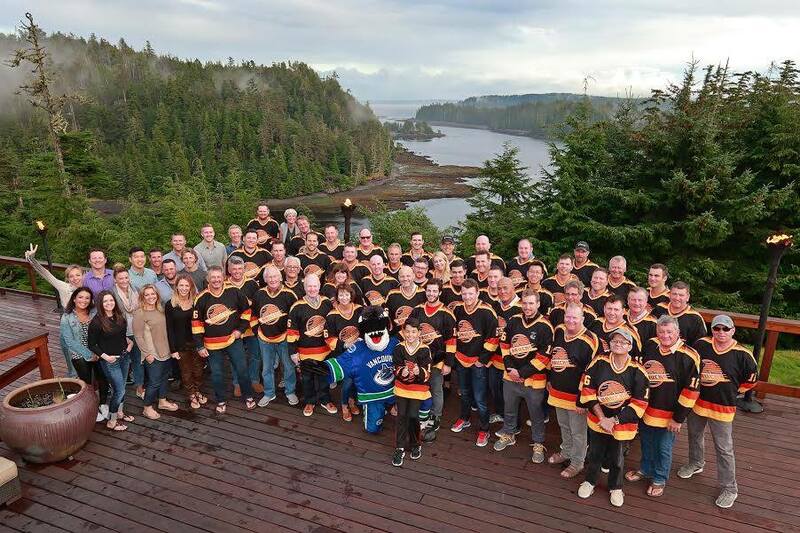 * Paolo Aquilini, Carlos Carinha, Katy Harandi, John Carinha, Fin, Brian Grange, Kirk McLean, Brandon Carinha, Derek Dorsett, Sven Baertschi, Jim Benning, Glenn Fereday, and Willie Desjardins. 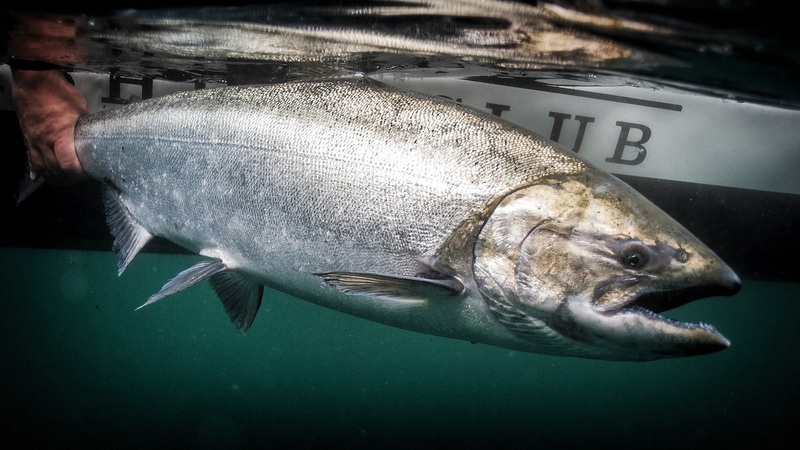 This year’s remarkable milestone was achieved by a group of just 42 anglers, from business and community leaders across Canada. Special guests included Vancouver Canucks players, Derek Dorsett and Sven Baertschi, Vancouver Canucks Coach, Willie Desjardins, Canucks General Manager, Jim Benning, Vancouver Canucks Alumnus, Kirk McLean, and CAN Founder, Paolo Aquilini. * 2016 Participants, sponsors and support staff gather on the back deck of The Clubhouse. Tournament winner, Glenn Fereday, of Thompson Bros Construction, caught a 41.6 pound Chinook during the three day event and donated the whole of his $200,000 winnings back to CAN. Funds raised will benefit the Canucks Autism Network (CAN), which was founded by Paolo and Clara Aquilini in 2008. The charity provides community-level support to over 2,000 families living with autism in British Columbia. * Glenn Fereday’s 41.6 lbTyee being hoisted into the boat by guide Kuima St-Gelais. 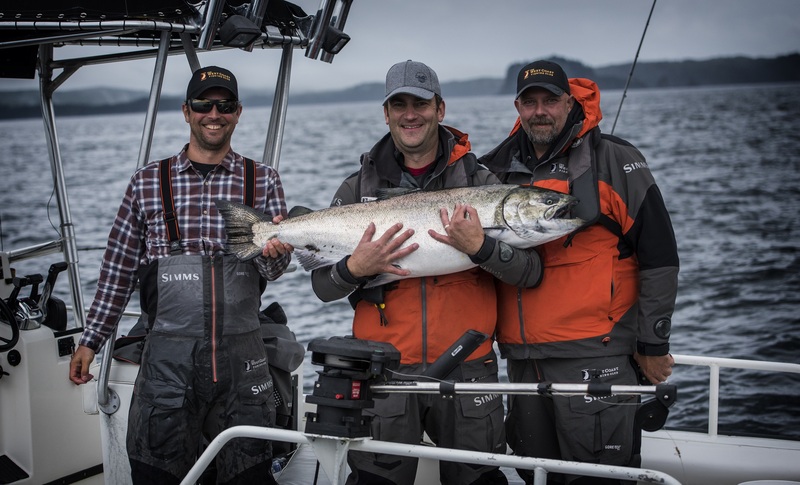 * Guide Kuiama St-Gelais, Glenn Fereday and John Klassen pose with the winning Tyee. 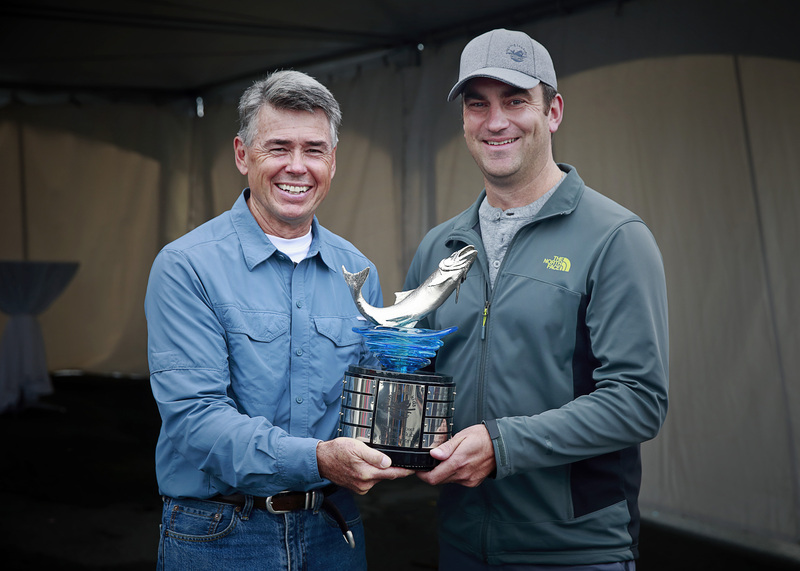 * 2015 Tournament winner Bob Wallis presents 2016 winner Glenn Fereday with the coveted trophy. 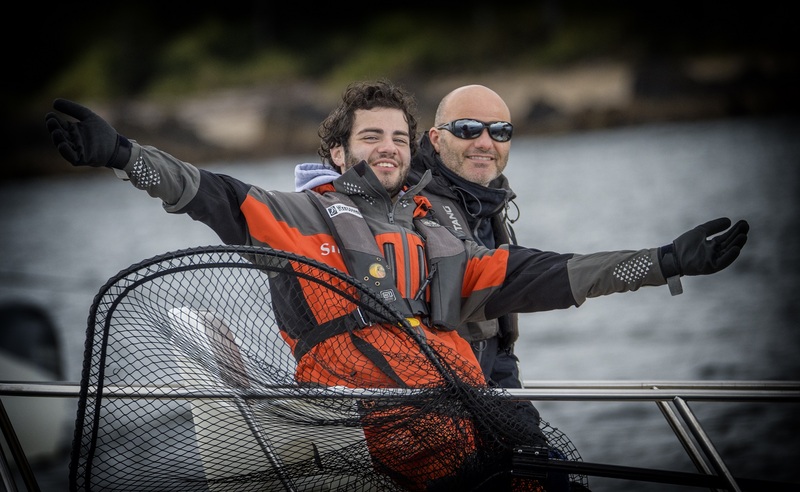 *Christian and Paulo Aquilini enjoying some time together on the water. 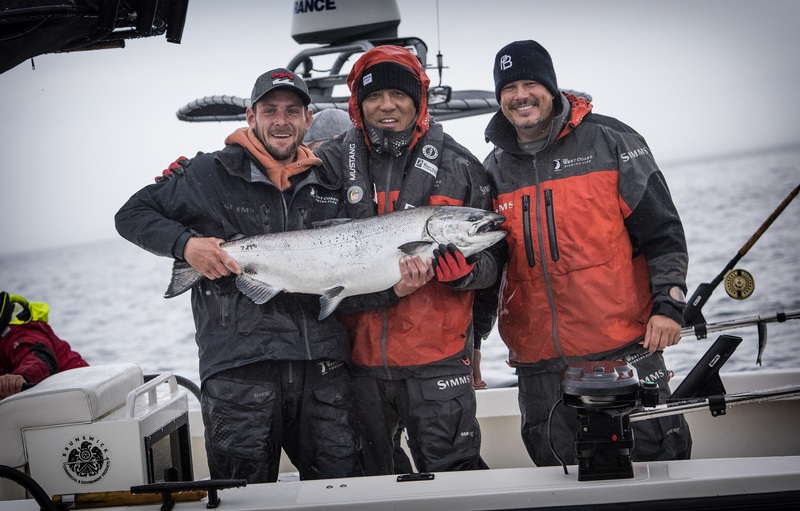 * Guide Bryce, Will Pauga and Dave Akins pose with Will’s second place 30.76lb Tyee. The 11th annual Fishing for Kids Tournament, presented by Macquarie, was a huge success and we look forward to another great event August 27 to 30, 2017. Thanks to all of the sponsors: Macquarie, The Vancouver Canucks, Silver Wheaton, Cosmopolitan Las Vegas, RYU Apparel, Helly Hansen, Penta 5 Packaging, Rosewood Hotel Georgia, Tesla Motors, Ritchie Brothers Auctioneers, Central City Brew, Two Rivers Meats, Triple O’ s Restaurant, J.P. Wisers, Tom Lee Music and Adcentives. 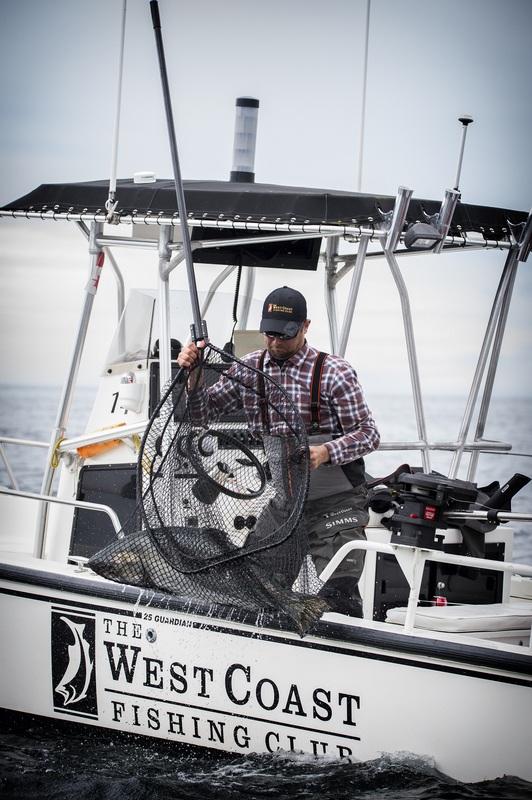 For more information, please call 1-888-432-6666 or visit fishingforkidstournament.com. The Canucks Autism Network (CAN) is a non-profit organization that provides year-round, high-quality sports, recreational, social and arts programs for individuals and families living with autism, while increasing awareness and providing training in communities across British Columbia. The prevalence of autism has increased dramatically in recent years, to one in 68 children and more than 11,000 in B.C. 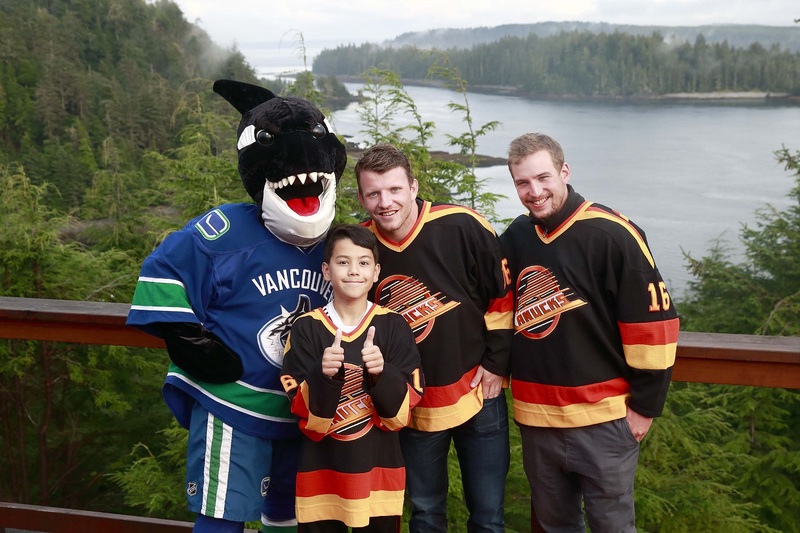 * Fin, Champion Child Brandon Carinha, Derek Dorsett, and Sven Baertschi on the back deck of The Clubhouse.